Meringue and hockey? That sounds soo...I don't know...sophisticated and international and all. That might be Nathan and Sonia, but that's not me at all. Meringue pies are okay and all, as is hockey...but they just don't get me going. I'll take their word that the lemon tart is as good as advertised, and you two enjoy your hockey, though them being Capitals fans, and me in Pittsburgh, I just have to ask those Ovechkin lovers a little question. 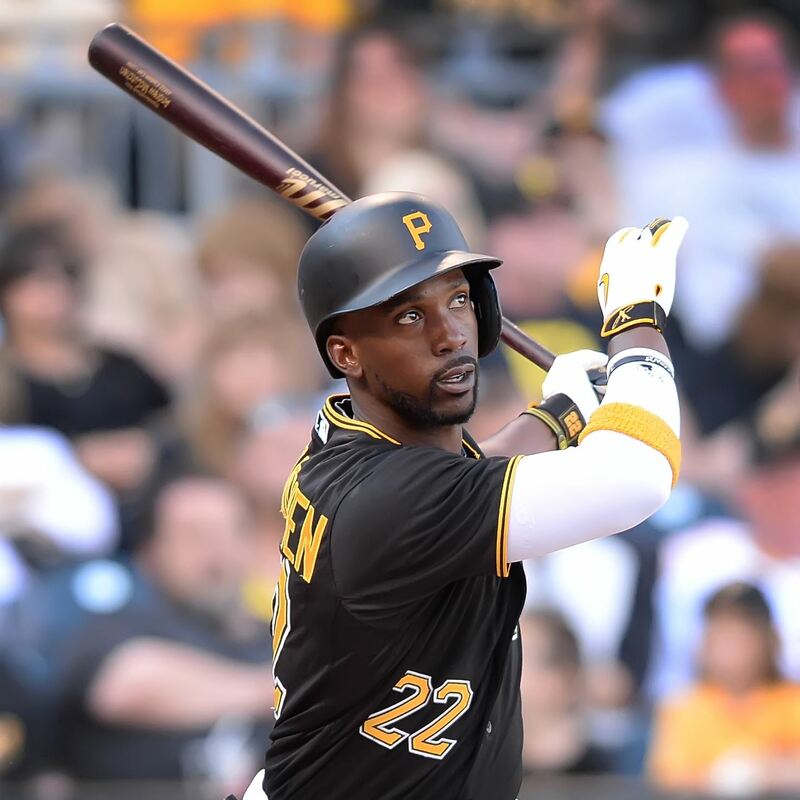 Here, in the city of Andrew McCutchen's sweet swing, Gregory Polanco's galloping strides, and the questionable locks of John Jaso...we're bacon people. Bacon and baseball. 'Murica. Land of the free and home of the brave (and heck with you, Braves fans). Since its debut about a week or so ago, Trader Joe's Uncured Bacon Jam is getting pretty Internet famous. I've seen the buzz at fever pitch on a lot of different social media pages all proclaiming love for these porky preserves, and as a bacon addict service to you all, I knew I had to try it for myself. I'll admit, the visual introduction is kinda, well...take a look. It's bacon in spreadable form - what else can be expected? Good thing it can be easily concealed inside, say, a grilled cheese with smoked gouda, which is exactly how Sandy and I partook for the first time. Imagine really good pulled pork. That's approximately how this jar o' jam tastes. Except..it's bacony bits instead of porky strands. The bacon chunks don't terribly stand out and instead get a little lost in the sauce, which is my only minor complaint. If I'm eating bacon, I want to know it's there. So, in short, it's heavy on the barbecue sauce aspects, which makes a nice change-up from other bacon jams I've had which were heavy on the bacon flavor. There's some tang and a small smidge of inoffensive heat, with a little smoke...and "vegetarian flavor." Yes. You read that right. There's "vegetarian flavor" in this here bacon jam. I really have no idea what that means - I mean, like, flavored with/by vegetarians? Were the pigs fed an all-veggie diet? What if one of them ate a bug? Are there...*gasp*....vegetables potentially diluting my perfectly good bacon? Silliness aside, this made our grilled cheeses an extra-delish lunch, and I'd imagine this pairing well on a burger, or with chicken, or in other sandwiches...but not a PB&J. Sandy and I, umm, tried that as a joke, and it wasn't too great then. It's $4.49 for the jar, so if this seems like it might be your kinda thing, trust me, it is. It's bacon. God bless America. A little to dip a hash brown into might be good. Might be good in sandwiches. I used this as a base for pizza (along with a little traditional pizza sauce to moderate the sweetness) topped with roasted tomatoes, mozzarella, and arugula. The arugula and the bacon jam really meshed well and I was really pleased with the result! I used this on a burger and it was excellent--not quite as bacon-y as straight-up bacon, but added bacon and a tinge of sweet, like bbq sauce (but not as sweet, and not out of place). Eating it plain (hey, I had to taste! ), there's a bit of chewiness at the end as there are real pieces of minced bacon in there. And it's yum. I tossed a few tablespoons with some roasted brussels sprouts. Pretty tasty. Hi! I follow your blog religiously--it's great! Just wanted to let you guys know the organic vegetarian chili is back in stock in new packaging but tastes just as good. Hope it's at your store too! My husband loves panini's. I will have to pick this up! thanks for the important review... and your pork puns. I made a great panini with smoked gouda plum tomatoes caramelized onions and the bacon jam on grilled sourdough. Awe-some! I've tried it. Found a recipe and now I make my own which is much better than this.